Same error here. Mailclient has "Server needs SMTP Authentification" on. The last section /usr/share/php5, is a directory that in the ubuntu packages, only contains php.ini example files. This tutorial is really good and clear. Just like the ones for the other distros. But what's the point of installing ISPConfig 3 ? If it was installed after step 6 (Install vim-nox (Optional)) on page 3, or even after step 9 (Change The Default Shell) on page 3, it would have made sense. But we first install everything by hand, and then install a script to manage it all. Might as well go the extra mile(s) and do everything from the command line. Why can't ISPConfig ask for (or read a config/setup file with) what you want to install, and then just do it before installing itself ? 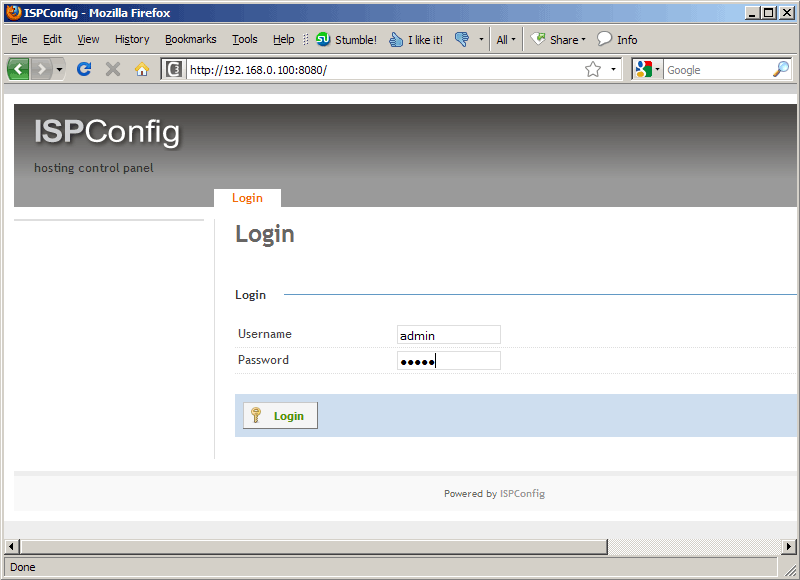 That the MySQL root user password has to be entered twice. Once when installing MySQL, and then once again when installing ISPConfig. "We need a DNS, mail, and LAMP server, but nevertheless I don't select any of them now because I like to have full control over what gets installed on my system." (page 2), but you do let this happen : "The installer automatically configures all underlying services, so no manual configuration is needed." (page 5). Anyway, it's a good starting point to have a nice server setup quickly. With or without ISPConfig. I've never installed this software but, since it's supposed to manage all this stuff, it seems very strange to have to install it all by hand first. Certainly none of the steps are difficult to script, most are just one command and some of them answering a couple of prompts. It looks like it has to have mySQL installed to be able to have a place for its configs but that should just be the first step; and it should remember that config information. Never, ever I read a tutorial so good. 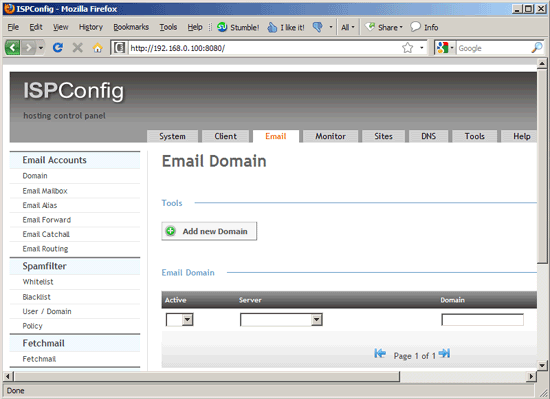 how can use squirrelmail from this howto, when i create a domain in ispconfig 3? 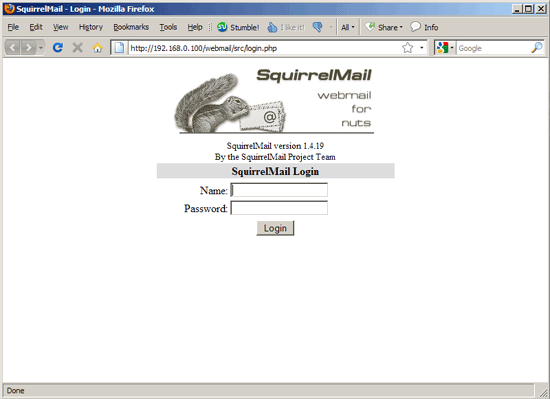 The symlink from squirrelmail is set to the standard web location /var/www but the web location for the new domain is /var/www/domain.tld/web. Would it not be better to download and phpmyadmin and squirrelmail manually and place them within a allowed directory according to /usr/local/ispconfig/server/conf/vhost.conf.master? If I could, I'd rate this 5 stars! It is perfect to a tee! Thanks a lot for a very helpful and informative article! Truely an easy and good alternative setup to having to pay for those other control panels! looks like hetzner's ubuntu 9.10 image isn't as minimal as it sounds :) it seems to have a crippled postfix package already installed, and the ispconfig install will fail because there is no /etc/postfix/main.cf. after that the guide works perfectly if you start from step 4.
this is an amazing tuto!!! dude thx! Thx for all the help, my server is now up and running!!!! And just in a couple of hours (or minutes)!!! This tutorial is absolutely brilliant! Thank you sooo much dude!!! just one point. i had trouble testing ftp after it was all setup after 3 hours of messing with pureftpd i found a simple solution to the "ERROR: Sorry incorrect address given"
maybe you want to add it to the steps in the tutorial ? Very clear and simple to follow, made the job for me a breeze, thank you! Used this manual to install postfix and ipconfig. Everything was so well documented so it works from the first try!!! How would this work out to have /var nad /tmp on separate partitions? Concerned about Quotas on /var to function properly with Ispconfig3 and have /tmp mounted with noexec. Do not think that separate /boot would create any complications. 200 gb harddrive to be used on. and possible changes how to make it all work together as mentioned? Thanks for this step by step tutorial. It was very easy and straight forward. I just have 2 quick questions that maybe you could answer. 1. )Why use myDNS vs Bind9? 2. )I can only access ISPConfig via http over port 8080 and not https over port 8080. how do i reconfigure or setup my server so that it will allow ISPConfig via https over port 8080.
do i have to install python-policyd-spf after following this guide? In the SquirrelMail Login page I get the following error: Unknown user or password incorrect. 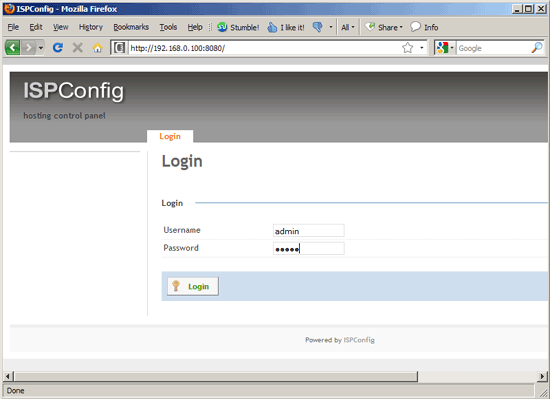 I'm using the administrator user (the one created in this tutorial in the Ubuntu server installation). Do i have to activate something? Excelent tutorial thank you so so so much !! !